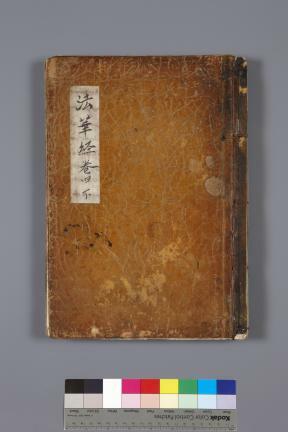 이 『묘법연화경(언해) 권1, 4 (妙法蓮華經(諺解) 卷一, 四)』는 대승불교의 대표적인 경전으로 구마라집의 한역본에 계환(戒環)이 주해(註解)하고 일여(一如)가 집주(集註)한 것을 저본으로 세조가 직접 경문에 구결을 달고 윤사로 등이 간경도감에서 번역하여 1463년(세조 9)에 목판으로 간행한 국역불경이다. 한글로 번역하여 正音의 명맥을 이어 발전을 보게 한 귀중한 국역자료인 점과 간경도감에서 간행된 판본의 형태적 특징을 잘 갖추고 있는 것으로 평가되었다. 중세국어사 및 조선전기 판본연구에 있어서 매우 귀중한 자료로서 불교판본학 및 중세국어의 연구에 매우 중요한 학술적 가치를 지니고 있어 현존본은 대부분 보물로 지정되어 있다. 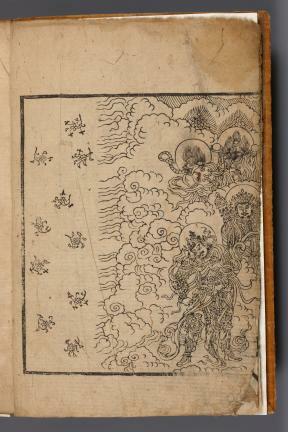 This book of the Lotus Sutra, one of the most widely circulated sutras of Mahayana Buddhism, was printed with woodblocks in 1463 under the supervision of a government agency, Directorate of Sutra Publication (Gangyeongdogam). 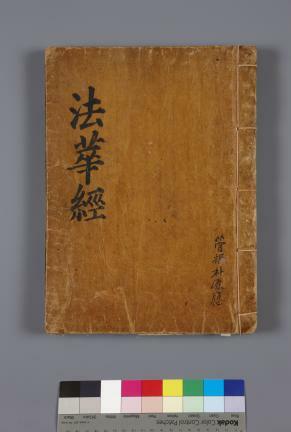 The text was translated into Korean by a group of scholar-statesmen led by Yun Sa-ro (1423-1463) in the Directorate from the Chinese text translated by a renowned Tripitaka Master Kumarajiva (334–413) and annotated by a Song scholar Jiehuan (fl. 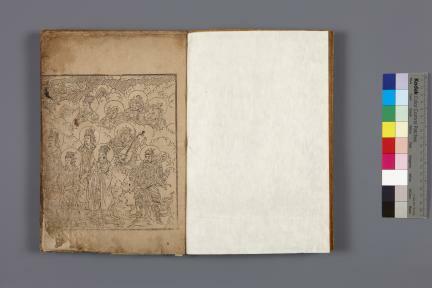 12th c.). 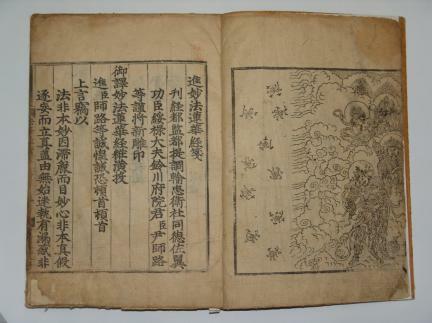 King Sejo (r. 1455-1468), the seventh ruler of the Joseon Dynasty, also actively participated in the publication of this edition by putting to the text phonetic signs (Gugyeol) designed to help read the Chinese text in native Korean language. 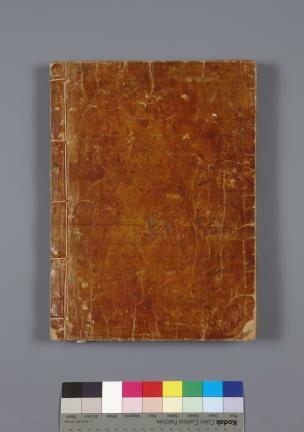 The book is highly regarded for the text that played a very important role in the development of the newly devised Korean alphabets and the preservation of distinctive features of a book published by the Directorate under the patronage of the royal court of early Joseon. 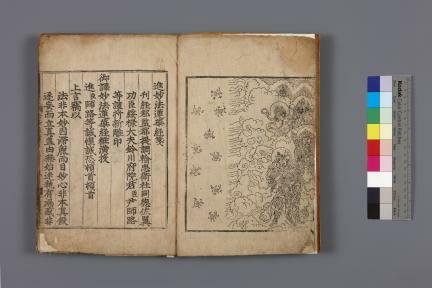 It is, therefore, widely regarded as a great source of knowledge about the medieval Korean language, woodblock-printed books, including Buddhist publications, of early Joseon. 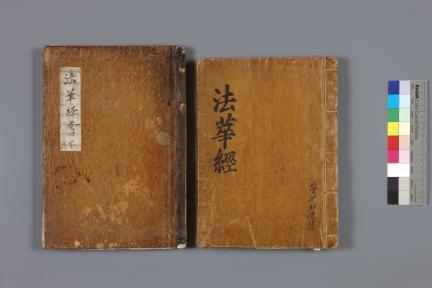 Most of the books of the same edition remaining today are designated as Treasures by the Korean government.